Polycystic ovary syndrome (PCOS) is one of the most common abnormalities in women of reproductive age that can lead to a variety of metabolic and reproductive disorders. Studies reveal that a healthy diet is the most effective way for treating the risk factors associated with metabolic disorders and place greater emphasis on the consumption of prebiotic foods. The present study aims to determine the effect of resistant Dextrin on metabolic parameters, including lipid profile, fasting blood glucose (FBS) and high sensitivity C-reactive protein (hsCRP), and androgen levels, including serum levels of dehydroepiandrosterone sulfate (DHEA-S) and free testosterone, as the primary outcomes, and manifestations of PCOS including menstrual cycle irregularity and hirsutism, as the secondary outcomes. This randomized, controlled, triple-blind, clinical trial was conducted on 62 women aged 18–45 in Tabriz, Iran, in 2016–2017. The participants were divided into a prebiotic group and a placebo group using block randomization. The prebiotic group consumed 20 g of resistant dextrin dissolved in a glass of water and the placebo group 20 g of maltodextrin also dissolved in a glass of water on a daily basis for 3 months. To measure the serum lipid profile, FBS, hsCRP, DHEA-S and free testosterone before and 3 months after the intervention, 5-ml blood samples were collected from the participants and analyzed using the ELISA method. The Ferriman–Gallwey scale for assessing hirsutism and a checklist for assessing menstrual cycle characteristics were completed before and 3 months after the intervention. A general linear model was used to analyze the data. No statistically significant differences were observed between the two groups in terms of sociodemographic characteristics and baseline values. 3 months after the intervention, based on the ANCOVA and after adjusting for the baseline values, the mean serum levels of LDL-C (adjusted mean difference = − 29.79; 95% CI = − 43.37 to − 16.21; P < 0.001), triglyceride (AMD = − 38.50; 95% CI = − 59.73 to − 17.28; P = 0.001), total cholesterol (AMD = − 29.98; 95% CI = − 40.14 to − 19.82; P < 0.001), FBS (AMD = − 11.24; 95% CI = − 15.43 to − 7.06; P < 0.001), hsCRP (AMD = − 1.75; 95% CI = − 2.92 to − 0.57; P = 0.004), DHEA-S (AMD = − 0.7; 95% CI = − 1.34 to − 0.13; P = 0.017) and free testosterone (AMD = − 0.32; 95% CI = − 0.56 to − 0.08; P = 0.010) revealed a statistically significant decrease in the intervention group compared to the placebo group, while the mean serum HDL-C showed a statistically significant increase in this group compared to the placebo group (AMD = 5.82; 95% CI = 2.27–9.37; P = 0.002). 3 months after the intervention, there was a significant difference between the two groups in terms of menstrual cycle intervals and hirsutism (P < 0.001). 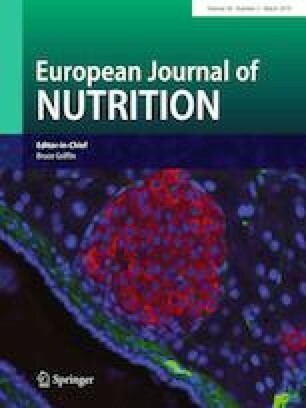 Resistant dextrin consumption can regulate metabolic parameters and androgen levels and manifestations including hirsutism and menstrual cycle irregularity in women with PCOS. The researcher and her colleagues express their gratitude to the Research Center of Tabriz University of Medical Sciences, the directors and personnel of Al-Zahra, Taleghani and Sina hospitals and the other health clinics of Tabriz, and all the women who helped us with their enthusiastic participation in all the stages of this research. The research team also likes to express sincere gratitude to Dr. Mohammad Asghari Jafarabadi, Associate Professor of Biostatistics, for providing us with his counselling for the analysis of the data. All the authors contributed to the conception and design of the study. SG conducted the experiment and wrote the first draft of the paper. PD, SM, AA and MM revised the manuscript. All the authors read and approved the final manuscript. This research was funded by the Research Center of Tabriz University of Medical Sciences. The funding center had no role in the design, analysis or writing of this article. This study was conducted according to the guidelines laid down in the Declaration of Helsinki, and all the procedures involving human subjects/patients were approved by the Ethics Committee of Tabriz University of Medical Sciences (Code of Ethics: IR.TBZMED.REC.1395.286). Written informed consent was obtained from all the participants.